Ultra-soft linen bedding set called "bed in bag" consists of 8 products - 100 linen duvet cover set feels unbelievably soft to the skin, snug and cozy. It includes a duvet cover set with slip pillow cover, sheet set with ruffle pillow cover and a bed skirt. 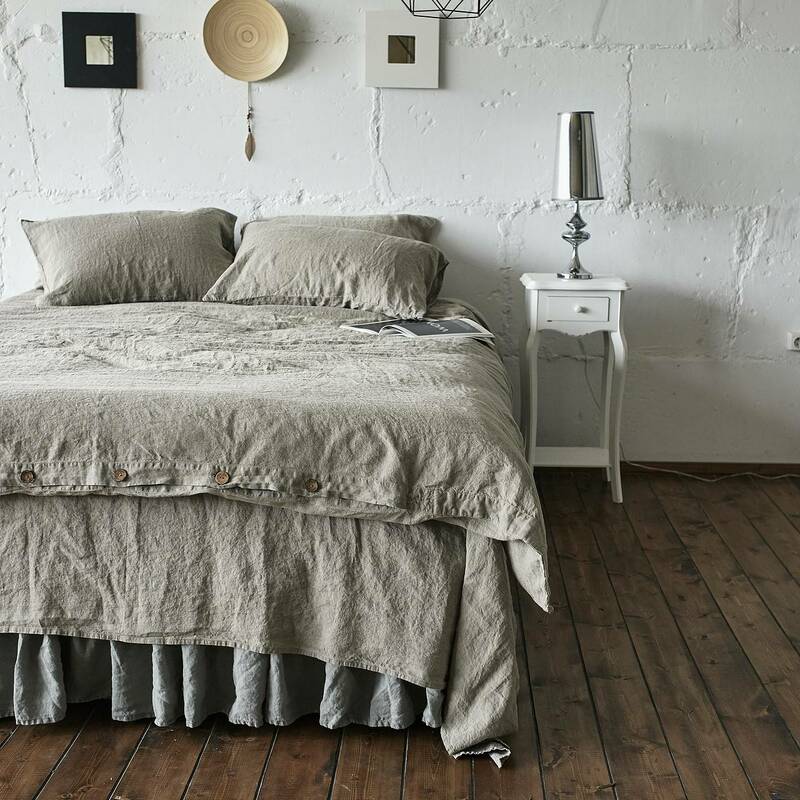 This pure organic linen duvet cover set has a beautiful stonewashed texture and a great variety of relaxed colors that will give your bed a clean look. Closure both on duvet cover and pillowcases are made of 100% organic coconut wood. The seamlessness of our quilt covers is a perfect feature for everybody who loves super comfortable sleep. Nothing can hamper moves, nothing in rub against the skin - your linen cradle is soft and 100% comfortable.